Try MecSoft CAD/CAM Software for FREE! 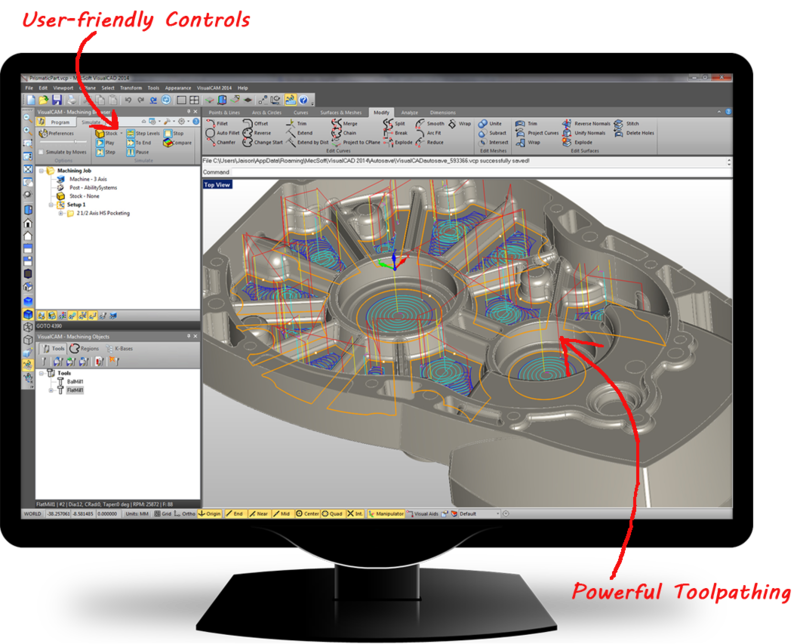 MecSoft’s CAD/CAM software is powerful, affordable, and best of all: easy to use. Our software is sold standalone, as well as fully integrated into popular CAD platforms such Rhino, SolidWorks, and Geomagic Design. With capabilities including 2 1/2, 3, 4, and 5 axis CNC machining (and a Robotic Milling add-on), we have a solution fit for you based on your need and your budget. We invite you to try our software for FREE and see why thousands of business owners and hobbyists worldwide depend on MecSoft! Get Your Download Link in Seconds! What type of CAD/CAM Software are you interested in? Standalone CAD/CAM - VisualMILL, VisualTURN CAM for Rhino - RhinoCAM CAM for SolidWorks CAM for Geomagic (Alibre) Design ART for Rhino Standalone ART FREE Milling Software!